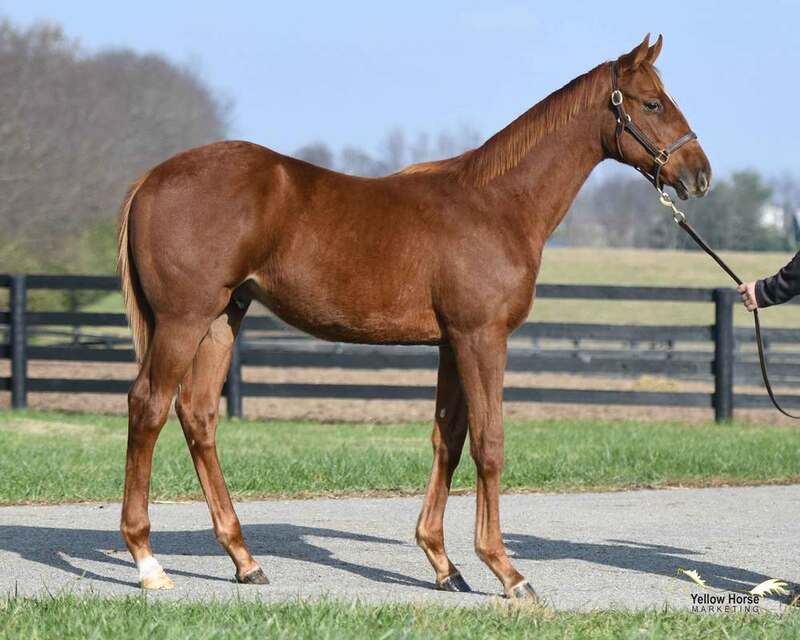 This Florida-bred colt is by Spendthrift’s exciting young sire BRODY’S CAUSE, who earned $1,168,138 on his way to becoming one of GIANT’S CAUSEWAY’s most accomplished sons on dirt at both 2 and 3. At two, BRODY’S CAUSE won the $500,000 Breeders' Futurity [G1] in 1:43.27 for 1 1/16 miles — fastest on dirt since 2000 — in his stakes debut, and was a fast-closing third in the $2,000,000 Breeders’ Cup Juvenile [G1] behind champion Nyquist. Then at three, he won the $1,000,000 Blue Grass S. [G1] going away over a full field, becoming an early favorite for the Kentucky Derby [G1]. 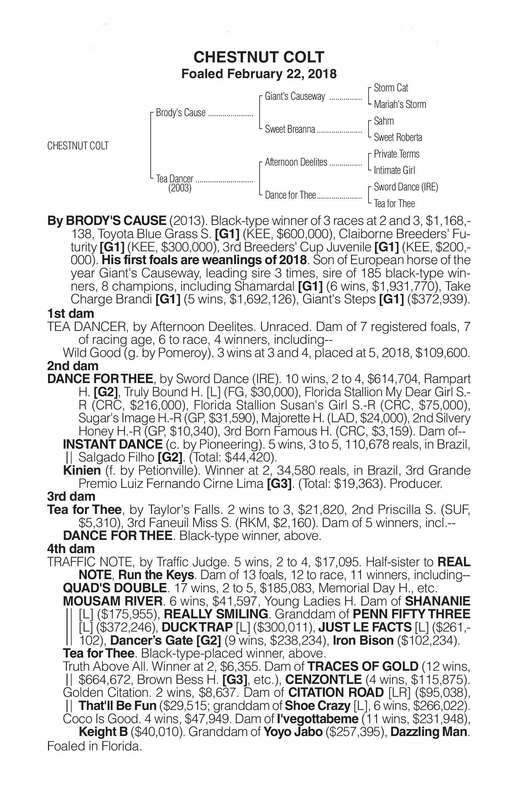 Not only is he by sire of sires GIANT'S CAUSEWAY, BRODY’S CAUSE was a $350,000 Keeneland September yearling out of the multiple stakes-placed mare Sweet Breanna, from the family of SECRETARIAT and CURE THE BLUES. 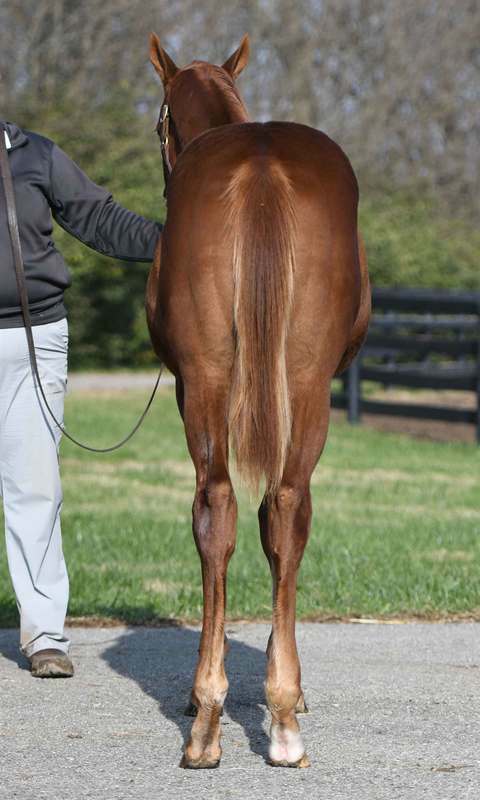 He bred over 100 mares in 2017, and his first weanlings are selling this fall with an average well over $40,000! 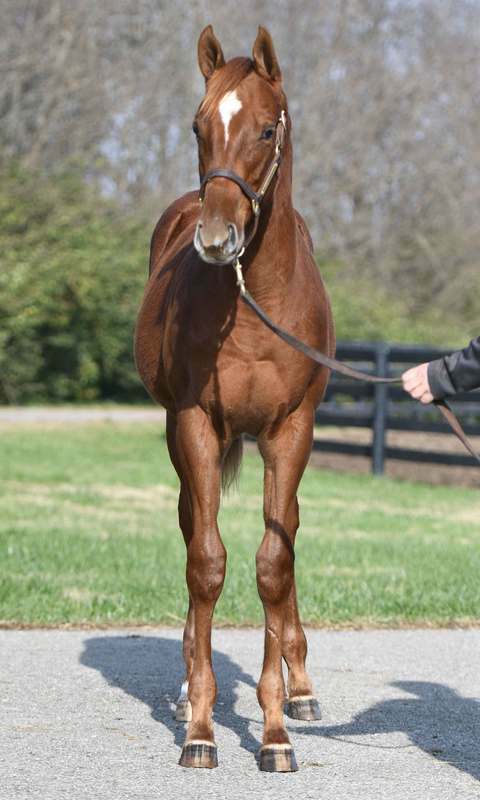 This leggy colt is out of an AFTERNOON DEELITES mare who is out of the Grade 2-winner DANCE FOR THEE. 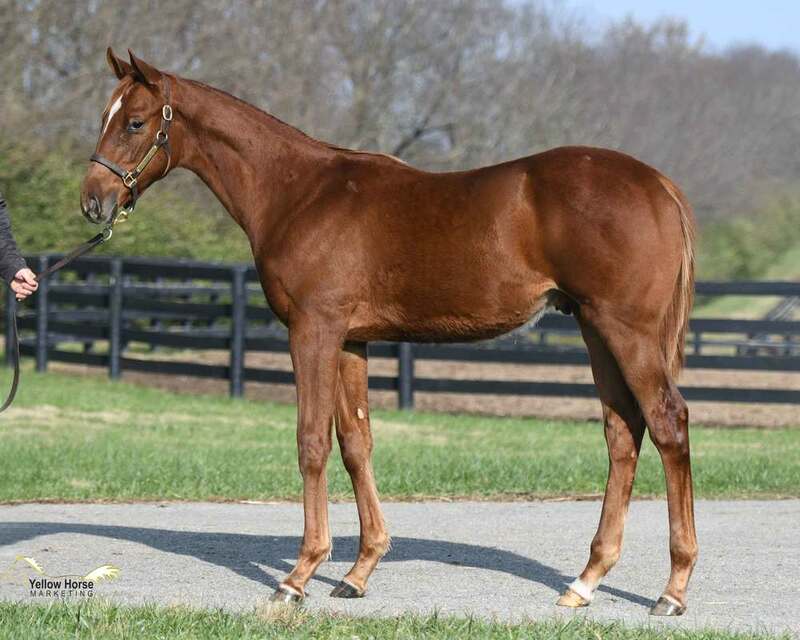 She’s also a half-sister to two more Graded stakes horses in G2-winner in INSTANT DANCE and G3-placed Kinien, and has already produced four winners herself.